The ease of booking and the communication prior to the event was great! The band DMP was fabulous!! I would book again and recommend them. “I just wanted to tell you how much I appreciate everything you did for our family. 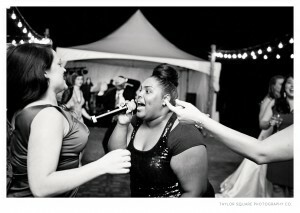 You went above and beyond to make Chelsea’s wedding reception a complete success!! The DMP band was absolutely fabulous!!!!!!!!! All of the Mississippi State sororities and fraternities ask how they can book the band for their parties. “We were THRILLED with the professionalism and coordination provided by RAM Entertainment from the very first Email contact! You guys were so pleasant to work with and it was obvious that you did EVERYTHING possible to customize our daughter’s wedding reception to make it very special for her…and for us. DMP was AWESOME and we loved every minute of their music. They were great MC’s. They worked with us to incorporate our own iPod music as well as providing microphones and backdrop music for our “Surprise” song with Whitney’s friends singing. They were polite, professional… and VERY TALENTED! We could not be happier with the entire experience and we would be happy to recommend your services as well as DMP at any time! “We LOVED DMP!! 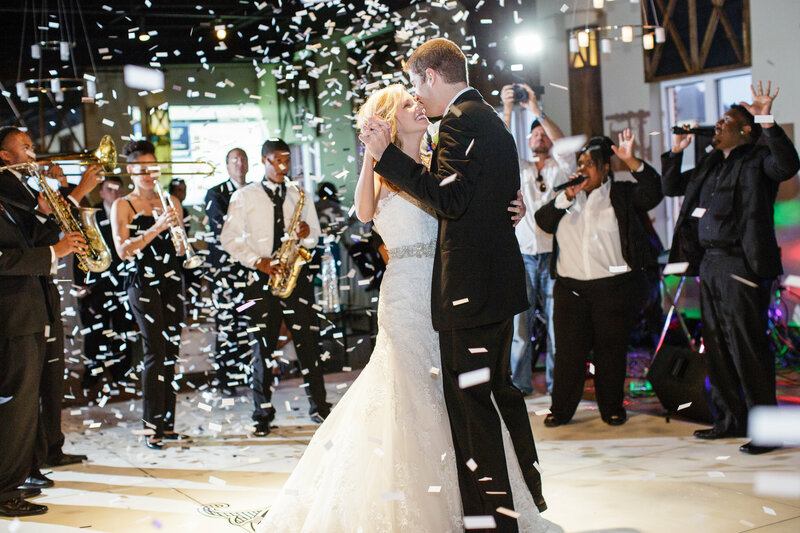 They were better than we ever imagined – everyone kept asking where we found them, and saying that they have never seen so many people dancing all night long, so we couldn’t be happier with our choice!! They also did a great job of playing easy/softer music earlier in the night, then really turning it up towards the end of the night, and the Michael Jackson impersonation was awesome!!! I’ll never forget it! 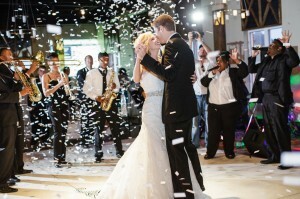 “Guests were talking about DMP for weeks following our wedding reception! They played a great mix of music, had tons of energy, and the lead singer entertained us with his amazing dance moves! They had guests of all ages on the dance floor all night long! I still get chills thinking about my reception because it was an absolute blast and DMP played a huge part in making it such a memorable event! “The DMP Band absolutely ROCKED!!! Everybody had the best time at our wedding with them; Andy and I can’t even begin to thank them enough for their performance. Even my mother was on the dance floor. NUMEROUS people asked us who they were and where they were from, so you may be getting calls fairly soon about booking them again for other engagements. “DMP was fantastic! We had a wide range of ages at our wedding reception and they had everyone dancing! Their sound and their songs were great!